With more “world’s best” accolades than any other cruise line, Crystal Cruises has long set the standard for all-inclusive luxury on the high seas. Now with the launch of Crystal River Cruises, you can enjoy the world’s best cruise line on the grand waterways of Europe. 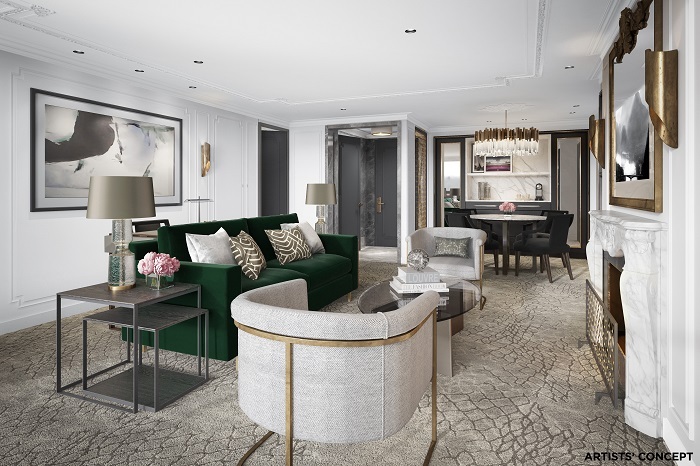 Starting next month with the 106-guest Crystal Mozart™, a new fleet of Crystal river yachts will offer all the hallmarks of the Crystal Cruises experience – including six-star service, world-class dining and enriching excursions. Making her maiden voyage on July 13, Crystal Mozart will sail two separate itineraries of 10 and 11 nights along the Danube, plus a special 13-night Christmas and New Year’s Eve voyage. Mozart will also transport you to the spectacular Viennese festivities in November and December, where you can shop in the famous Christmas markets. Four more all-suite vessels will debut in June and August 2017, offering voyages on the Seine, the Rhine, the Garonne and Dordogne, and the Rhine, Main and Danube. All the itineraries will offer a relaxed take on traditional river cruising, with more overnights in port allowing plenty of time to explore, and a focus on less-travelled routes to avoid the crowds. Aboard the new Crystal River Cruises fleet – Crystal Mozart, Crystal Debussy™, Crystal Bach™, Crystal Ravel™ and Crystal Mahler™– every aspect of your cruise will be carefully crafted to provide an unparalleled experience, with an array of services and luxuries unmatched in the cruising world. Relax in the largest suites of any river vessel, enjoy gourmet dining and casual fare at our onboard restaurants, with authentic regional, local and seasonal specialities served with the finest wines and beers. Every Crystal river yacht will have a luxurious spa with steam room, sauna and a fully-equipped fitness centre, while state-of-the-art technology will take independent exploration to entirely new levels, with complimentary Nordic walking poles, GPS whisper guides, electronically assisted bikes and more. And it goes without saying that all our shore excursions are expertly curated to deliver a truly memorable experience. So get ready to enjoy an incredible experience for the mind, body and soul – on a river cruise quite unlike any that’s gone before. In a first for river cruising, the destination specialists for Crystal River Cruises have curated an ultraexclusive event at the Belvedere Palace in Vienna, one of Europe’s most stunning landmarks. 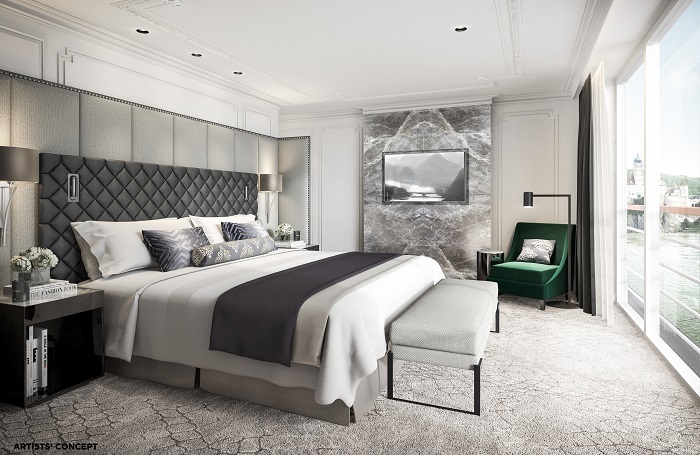 “As has been our signature for over two decades, we will continue to offer our guests extraordinary experiences aboard Crystal River Cruises that only Crystal can deliver,” says the company’s president and CEO, Edie Rodriguez. The historic palace, built in the 1700s at the height of the baroque movement, is a UNESCO World Heritage Site – and as a complimentary addition to every 2016 and 2017 itinerary aboard Crystal Mozart, guests will be given unprecedented private access to the Palace’s famous collection of artworks by Austrian masters including Klimt, Kokoschka and Schiele, with guidance from the Palace’s specialists. Their visit will culminate with a viewing of one of the world’s most famous and beautiful paintings – Gustav Klimt’s golden masterpiece The Kiss. Guests will then gather in the Marble Hall, considered the most magnificent room in the Palace, for a command concert of Viennese compositions by Johann Strauss, father and son, and – of course – Mozart. 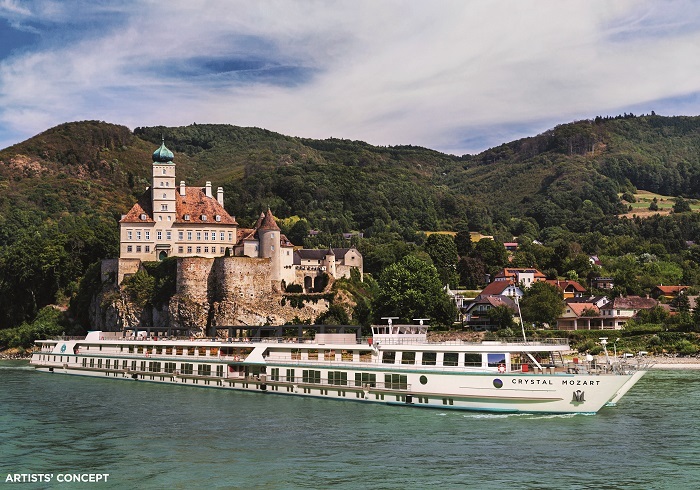 Crystal has ensured that the special excursion can accommodate all 160 of Crystal Mozart’s guests, so pre-booking is not essential.